My Dad is on a fusion cuisine kick. Most people mix popular dishes from different countries or styles but not Dad. 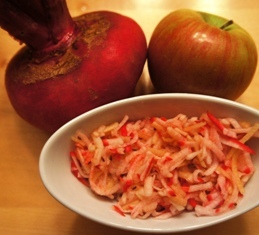 He has been making up dishes that blend traditional Jewish foods with a bit of trafe (non-kosher food). His latest idea, after eating some delicious crab salad was to make a crabmeat kugel. 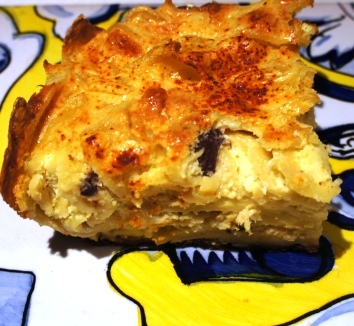 Kugel is a traditional Jewish noodle dish while shellfish, such as crab, is trafe. 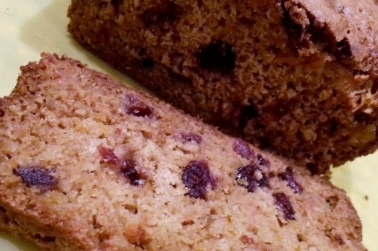 It sounded delicious to me so as soon as I arrived in Florida last week we started planning out the recipe. Pretty much the standard greeting in my family is hugs, kisses and a cry of “what are we eating…”. 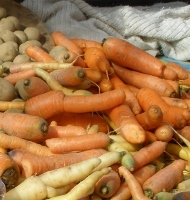 Mark, Dad, and I went to the farmers market to gather ingredients. Meanwhile, Mom made calls to gather relatives to share the results of our cooking experiment and she dashed into an Italian bakery for cookies to sustain us as we worked. 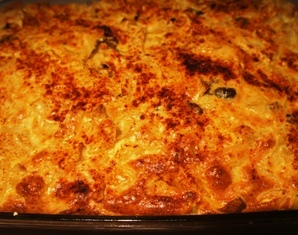 I love making kugel and have another recipe posted on my blog for a wild mushroom kugel (Russian Noodle Kugel). We wanted the Crustacean Kugel, as we named it, to be very rich, light and puffy but not to overwhelm the delicate crabmeat. I have given an approximate recipe below (kitchen got a little crazy and recipe documentation suffered in favor of fun). 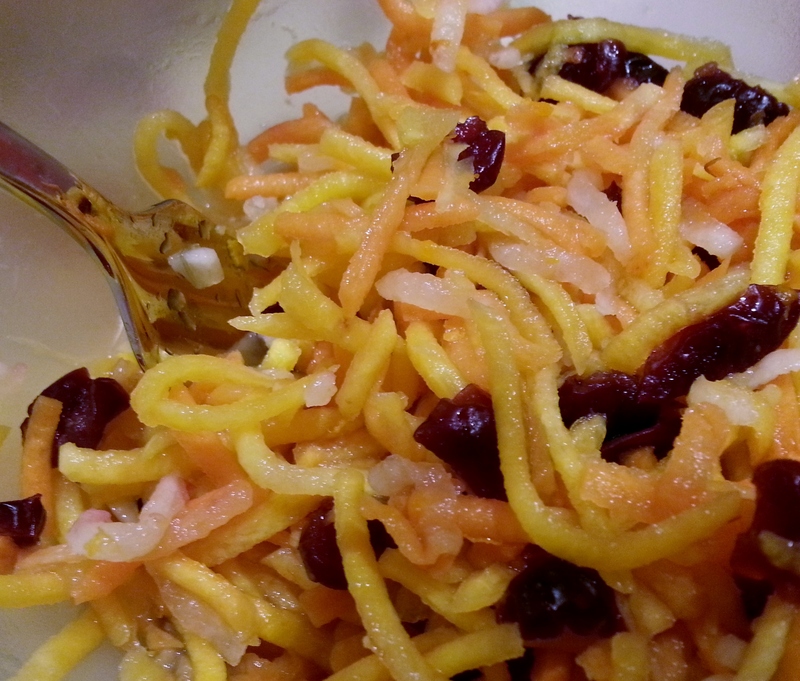 We served the kugel with a delicious orange and spinach salad with tangerine, honey & ginger dressing and I will post that recipe shortly as well. Boil the noodles until just tender and drain. In a large bowl, mix 6 tablespoons of butter into the hot noodles. Saute shallots in 2 tablespoons of butter until soft. Mix shallots into noodles along with cheeses and olives. Add salt and pepper to taste. Separate the eggs and beat the whites until stiff peaks form. Blend the yolks into the noodle mixture and then gently fold in the beaten whites. In a small bowl mix the crabmeat with dill and lemon zest. 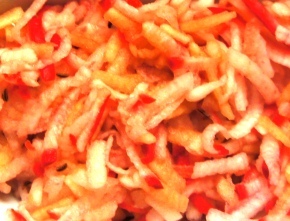 Pour half the noodle mixture into the dish, sprinkle in the crab, and top with remaining noodle mixture. Sprinkle with paprika and bake for about 40 minutes at 350 degrees until puffed and lightly brown and set in the center. 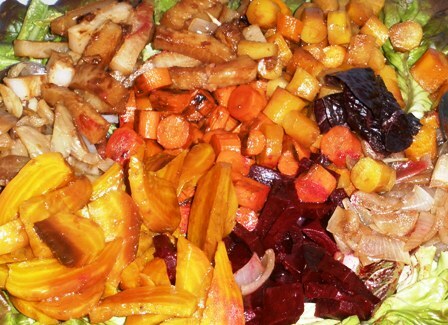 I created this salad to showcase the variety of produce available at the farmers markets in November in Massachusetts. I served it at the Public Radio Kitchen Meet Up, Eat Up event last week. The vegetables were all roasted in the oven until tender and then dressed while still warm with the fig, lemon, ginger dressing below. I then chilled everything overnight. To serve the salad, the vegetables were arranged over red leaf lettuce and a bit of extra dressing was drizzled over the entire salad. This would make a lovely light supper with a selection of New England cheeses, a crunchy loaf of bread, and a nice glass of white wine.